Halil Ceylan and a group of Iowa State University engineers are testing heated pavement technologies at the Des Moines International Airport. They’ve installed two test slabs of electrically conductive concrete. And so far this winter, the special pavement has effectively cleared ice and snow. The research is supported by the Federal Aviation Administration’s Center of Excellence Partnership to Enhance General Aviation Safety, Accessibility and Sustainability. 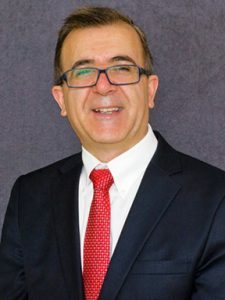 Ceylan is a professor in the Department of Civil, Construction, and Environmental Engineering and director of the Program for Sustainable Pavement Engineering and Research at ISU’s Institute for Transportation (InTrans). Additional InTrans researchers also are part of the project.